No respectable Italian-American home would be without a version of sausage, peppers and onions. My mom cooked Italian sausage and peppers with sauce and served it on crusty Italian rolls for dinner. It made a hearty sandwich and meal! Nothing transports me back to my childhood like my mom’s meatballs, zucchini bread, or carrot cake, but the smell of sausage and peppers cooking in a skillet takes me back, too. 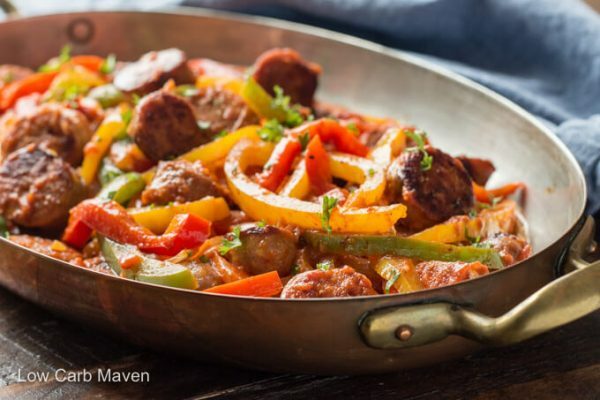 This easy dish of sausage, peppers and onions with sauce can be cooked two ways: in a skillet on the stove or on a sheet pan (rimmed baking sheet) in the oven on a sheet pan. (400 for 40 minutes). Although Italian sausage is traditional, you can use any kind of flavorful sausage. 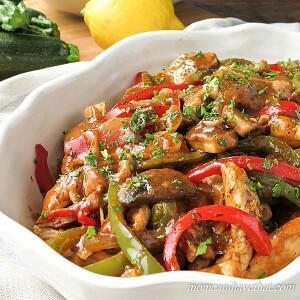 I’ve used turkey sausage and several varieties of Aidell’s sausage to change things up and sometimes I add mushrooms. 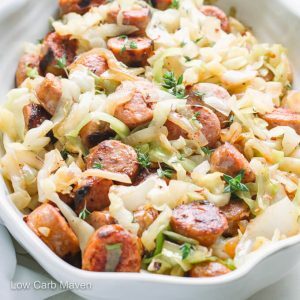 When the peppers and onions have softened, I add the sausage back to the pan then add Rao’s Marinara sauce – it’s the lowest in carbs that I have found and has a wonderful flavor. 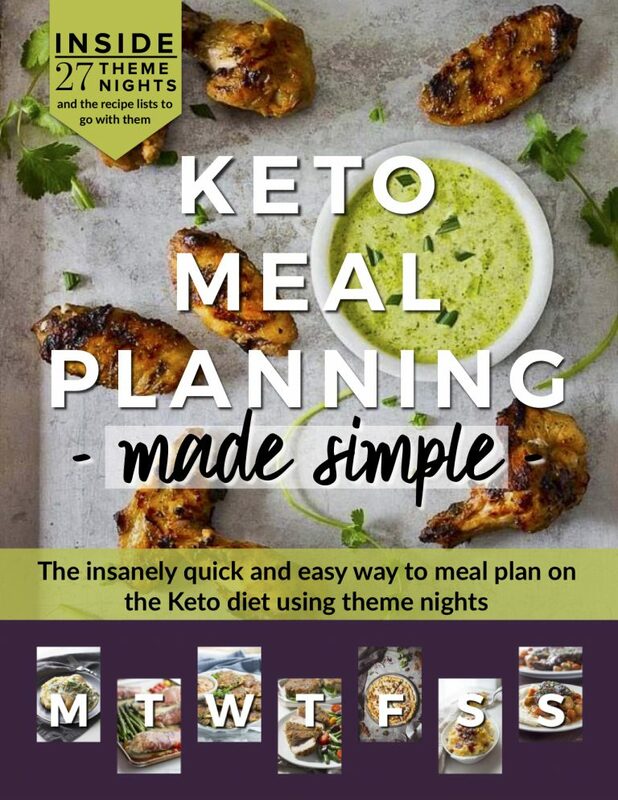 Sheet Pan Method: Toss the ingredients with 1 tablespoon of oil and bake at 400 degrees F for 40 minutes until browned, stirring halfway through. Put into a bowl and add warmed Marinara sauce. Have you ever wondered the easiest way to cut a bell pepper? You can make quick work of slicing bell peppers with this easy technique. Stand the bell pepper on the cutting board with the stem end up. Slice the sides off of the pepper from top to bottom, 4 or three sides depending on how many lobes the pepper has. Cut off the bottom. Discard the top which has the seeds and most of the pithy veins attached. You’re done! Now, slice the peppers the long way or short way depending on the recipe. I cut the short way for Chinese stir fry and the long way for this Italian sausage and peppers recipe. 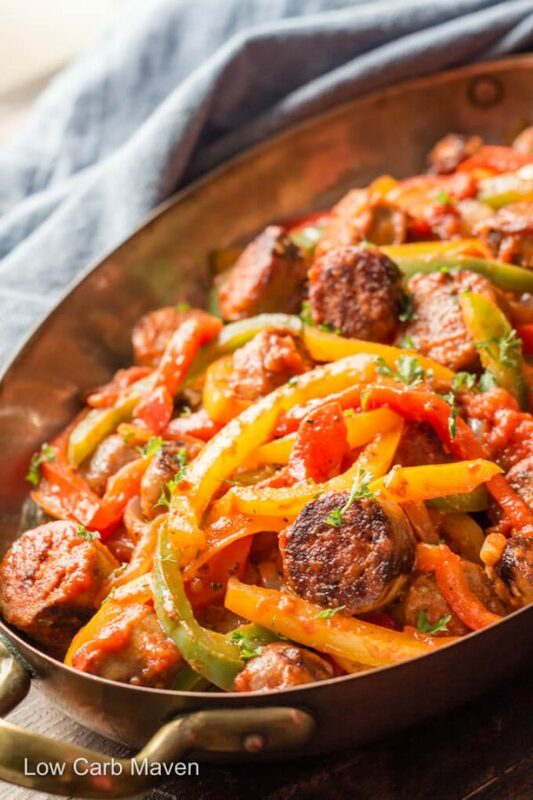 This tasty Sausage, Peppers and Onions with Sauce is net 6.5 carbs per serving. Sweet Italian sausage cooked with colorful bell peppers and onions with Marinara sauce is great with eggs, on sandwiches, or as is! 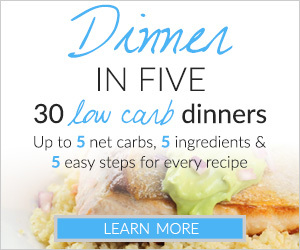 A tasty and easy 30 minute meal. Grill sausages and slice into rounds. Alternately, slice sausages and cook in a large skillet over medium heat with 1 1/2 tsp oil, to brown (about 8-10 minutes). Remove sausage from the pan. While the sausage is cooking, slice the peppers and onion. Mince the garlic. Heat the oil over medium heat until it is hot. Swirl to coat the pan. Saute the vegetables with the garlic until softened (about 10 minutes). Add the sausage and any accumulated juices back to the pan to re-heat. Add the Marinara sauce and stir to coat. Taste and adjust seasoning. Serve. Slice the sausage into rounds. Slice the peppers and onions. Mince the garlic. Toss the ingredients with 1 tablespoon of oil and bake at 400 degrees F for 40 minutes until browned, stirring halfway through. Put into a bowl and add warmed Marinara sauce. Divide and serve. This recipe is easy and delicious! I will be making this again. I was worried 1/2 cup of sauce was not going to be enough for this dish, but it turned out perfect! Made this tonight and it was so good. Trying to do low carb to help my husbands blood sugar go down. This was delicious! 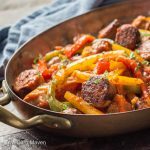 I’ve never added sauce to sausage and peppers and loved the addition! I made it using the skillet method but am looking forward to trying it using the sheet pan method next time. 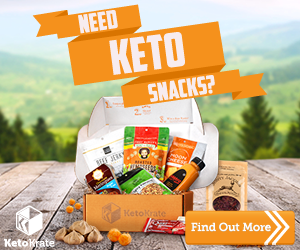 What is the serving size under Nutrition Facts? Served this over zucchini “noodles.” So easy and delicious. Everyone loved it. Can’t wait to try the meatballs with the Rao sauce. Love your recipes. Thanks so much! Yes, I love this recipe. 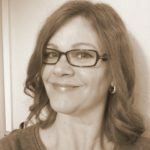 Have you read Bacon and Butter CookBook?